On the 4th of March, we will organise our second masterclass of 2019. Everytime we touch upon another, often hot, topic with interesting speakers. These masterclasses are more in depth than our lectures and on a smaller scale. This way, our speakers can go more into detail and you are able to ask more questions than during a regular lecture. 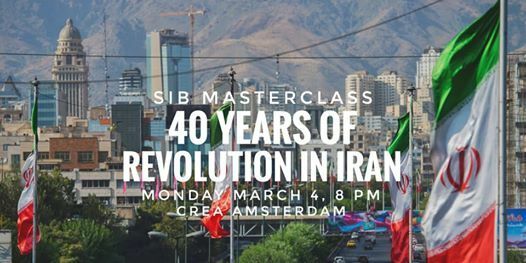 This time, we are organising our masterclass around the topic of the Islamic Republic of Iran. Specifically, we will focus on the Iran nuclear deal and the murders of Iranian state enemies. After Dutch intelligence services claimed that Iran murdered two Iranians in the Netherlands, the EU immediately imposed sanctions on Iran in January 2019. This is in stark contrast with the direction that Iran was heading after the closing of the nuclear deal. 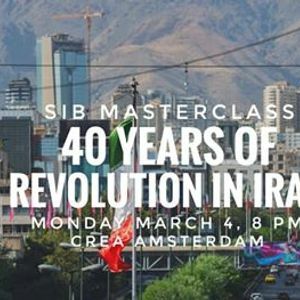 During this masterclass, we are going to look into Iran. First, we are going to look at the nuclear deal and the impact that the cancellation from the US has on an international level. Herein, we seek to answer what the nuclear deal was supposed to achieve for Iran and others on a global scale, such as the integration of Iran into international community. Secondly, we are going to look at how Iran’s reputation has changed after the deal got cancelled. One question is how the murders impacted the reputational shift of Iran and whether the EU will continue to uphold the nuclear deal. Lastly, what impact will this struggle have on the wider region around Iran? Please note, we have a maximum amount of people who can join this masterclass. Therefore, we kindly ask you to sign up. The form to do so will be published soon. Entrance is free to everyone, but members have priority. Afterwards we'll have drinks together, so we invite you to join us in the CREA café!